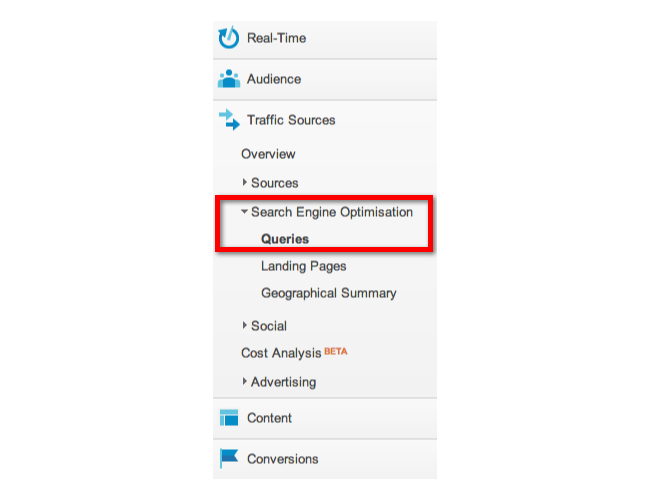 Google Analytics: how to track search queries from search engine? I once read that Google Analytics no longer provide search terms report, because of privacy reasons--though Google seem to still collect this data. Is there still a way to get to know what keywords visitors used to get into our website? 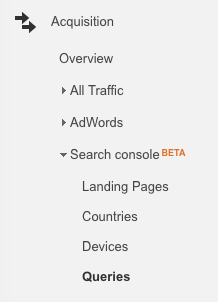 The report has recently been renamed: now you'll find the data under Acquisition > Search console > Queries. For this, you need to connect the Search Console with Google Analytics. In addition, this data is only for Google, not for Bing or other search engines like Yandex or Baidu. Not the answer you're looking for? Browse other questions tagged google-analytics search-engines keywords or ask your own question. How to do Google Analytics conversion/event tracking from organic keywords? Will blocking my IP address in Google Analytics will affect Google Search Console search analytics?